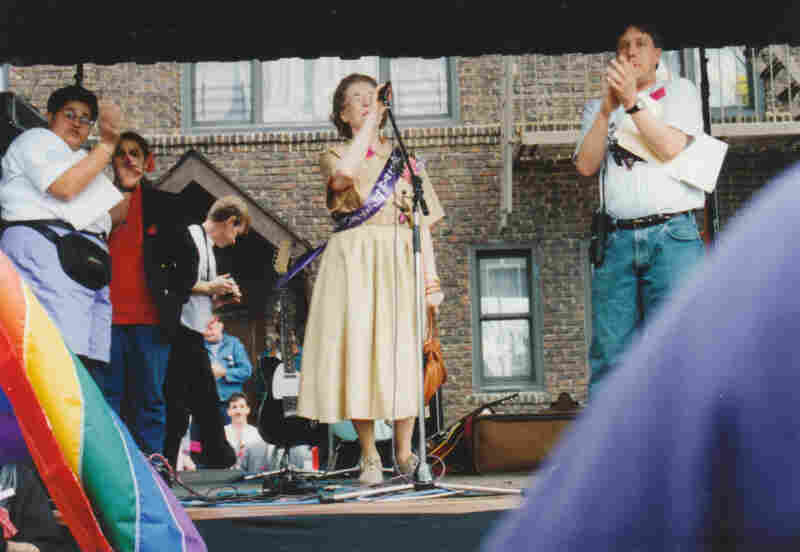 Jeanne Manford: A Mother First, Gay Rights Activist Second Jeanne Manford broke ground by speaking up for her son's rights as a gay man in the 1970s. She would go on to found the national support group Parents, Families and Friends of Lesbians and Gays, better known as PFLAG. She died this week at the age of 92. 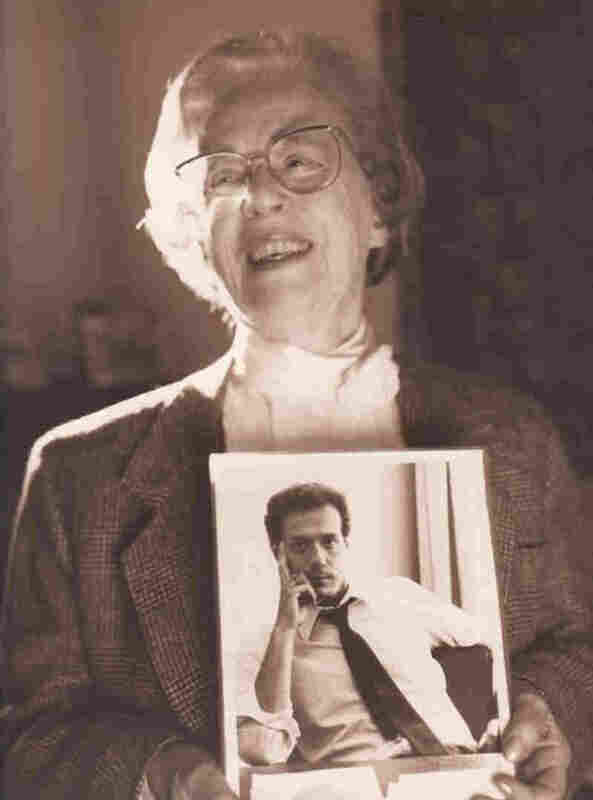 Jeanne Manford, founder of the national support group Parents, Families and Friends of Lesbians and Gays, or PFLAG, holds a photo of her son, Morty, circa 1993. Manford died Tuesday at 92. 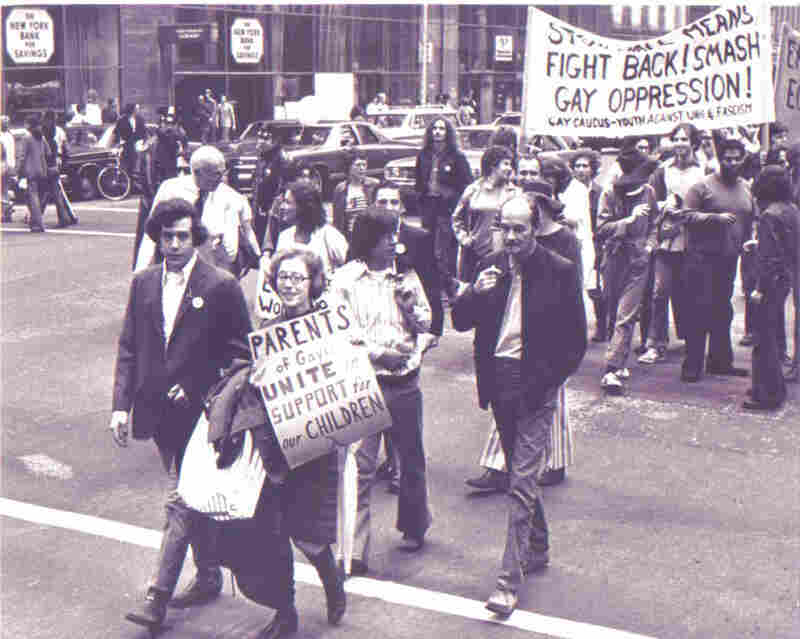 Manford marches with Morty in what would become New York City's gay pride march, in 1972. Journalist Andy Humm interviews Manford at a gay pride march in Queens in 1993. 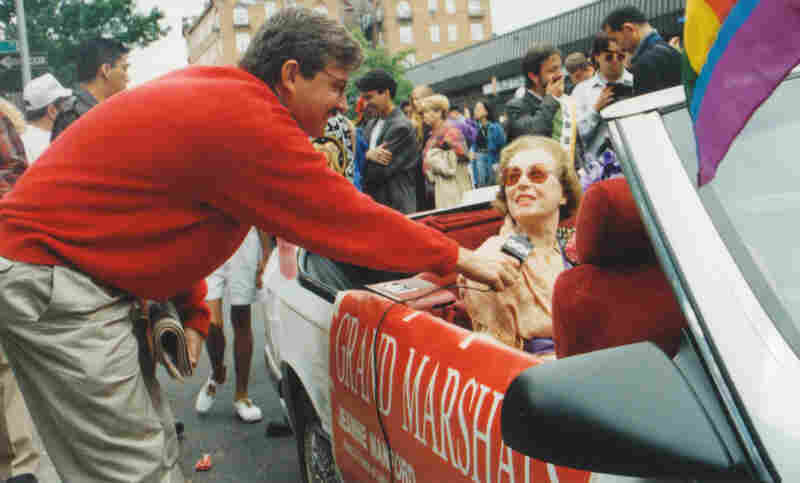 Manford was the grand marshal of the pride parade in Queens. Manford's support group has swelled to more than 350 groups nationwide with thousands of members. President Obama spoke about Jeanne Manford in a speech he gave at the annual Human Rights Campaign National Dinner in 2009. Her son, Morty, was an important figure in New York City's gay community during the turbulent 1970s. "Soon after the protests at Stonewall 40 years ago, the phone rang in the home of a soft-spoken elementary school teacher named Jeanne Manford," he said. A police officer told her Morty had been arrested. "And then the officer added one more thing," the president continued. " 'And you know he's homosexual?' Well, that police officer sure was surprised when Jeanne responded, 'Yes, I know. Why are you bothering him?' "
The shy, petite woman from Flushing, Queens, N.Y., would become an activist for gay rights. 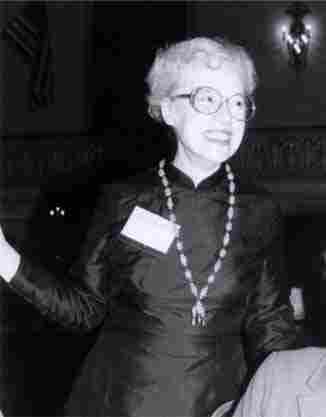 She founded the national support group Parents, Families and Friends of Lesbians and Gays, better known as PFLAG. Manford died Tuesday at 92. Suzanne Manford remembers her mother's unyielding support. "When my brother needed her, she just dropped everything for him. She was like a mother bear," she says. Suzanne was 21 when Morty came out as gay. A few years earlier, Manford's oldest son, Charles, had died from an accidental drug overdose. So when Morty ended up in the hospital in 1972 after being brutally beaten at a protest rally, Suzanne says her mother knew she had to act. "My mother was beside herself with rage that anybody could hurt her child. She'd already lost one, and the fact that she could have lost another," Suzanne says. "She was seething." After the attack, Manford wrote a letter to the editor of The New York Post, criticizing the police for not protecting him. "I have a homosexual son and I love him," she said. Two months later, she marched alongside Morty in what would eventually become New York City's gay pride march. Eric Marcus, the author of a history on the gay rights movement in the U.S., says that move was unprecedented. "It's a little hard to imagine now what that period was like, how revolutionary it was for a parent to walk in the gay pride march in New York City carrying a sign that said, 'Parents unite in support of our gay children,' " he says. "The timing was right, the time really called for someone like Jeanne, and Jeanne was there." Then, in 1973, Manford organized the first formal meeting of PFLAG. She and 20 others gathered at a church in Greenwich Village. Soon after that initial meeting, she began to receive calls from other parents across the country wanting to start groups in their own communities. The organization has swelled to more than 350 groups nationwide with thousands of members. One of those members is former National Football League Commissioner Paul Tagliabue, whose son is gay. As a parent, he says, the support group just makes sense. "She thought it was just a normal thing to do as a mother," he says, "and that's true of most all the parents that get involved." He and his wife joined PFLAG, seeking support and guidance from parents in similar situations. "They don't think they're going out there to become politicians or advocates in a unique way. They're doing what parents should do, which is care for their kids and keep their family together," he says. Writer Dan Savage says his mother found solace in the group because it helped her understand what it means to be gay and to be the parent of a gay child. "What Jeanne Manford did was she put it in people's heads that gay and lesbian people had parents," he says, "that we were somebody's children, and that was the first real big step in the movement toward full acceptance of lesbian, gay, bi and trans people." Morty Manford passed away in 1992 of complications from AIDS. When he heard the news, New York City Council Member Daniel Dromm reached out to Manford. Dromm's mother was a PFLAG member and he was friends with Morty. He says he and Manford became fast friends the moment he set foot in her house. "I walked in and Jeanne had pictures of Morty on the mantelpiece and she took them down, and she showed them to me," he says. "As a matter of fact, there was a famous photo of Jeanne marching in that first pride parade, and she was so proud of having that photo, that that moment was recorded in history." Dromm says Manford received letters from gay people from all over the world, thanking her for standing up for them and for loving them unconditionally. It's that love, he says, he'll remember about her the most.